With 2017 nearing its end, let’s take a step back and look at all the strategies and trends that shaped digital marketing during the year. The purpose of this article is not to just sum up the most successful strategies; we want you to try and use it as a checklist to see what you have and haven’t been doing yourself. If you’ve been implementing all the tactics below, then congratulations! But remember a successful strategy does not stop there, constantly monitor the newest trends and strive for improvement. On the other hand, if you’ve only been implementing a few of the tactics below, don’t fret. This is a great opportunity to see what else has been working for others. Try to implement the following in your daily marketing operations and more importantly, be prepared to tackle the upcoming year with a powerful digital marketing arsenal. It is a largely known fact that consumers today are constantly bombarded with advertisements of all sorts, ranging from physical banners on bus stations to display ads and pop-ups in the digital world. While a well crafted PPC and Social Advertising strategy can go a long way, people today have grown tired of being treated as nothing but sales targets. So how do you stand out from the crowd and get the attention of your audience? The answer: Personalized Marketing. This is essentially a strategy that tailors your online strategies to your audience’s pain, need, or interest (PNI) and aims at creating a deeper, more personal connection with them. Perhaps one of the greatest personalization marketing examples is “Share a Coke” by Coca Cola, which helped the company grow its sales after a decade of steady declines. Now you might be thinking that this was a multi million-dollar campaign by a multi billion-dollar company, but personalized marketing can work at any scale, as long as you are creative and speak directly to your audience’s PNIs. 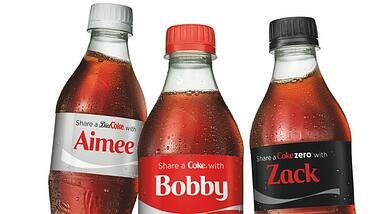 For more ideas and tips on personalized marketing check out WordStream’s article here. We’ve said it once and we will say it again, email has proven its worth time and time again throughout the past decade. It's undoubtedly one of the most useful tools for any marketer, from the upcoming solopreneur to established industry professionals. Oftentimes, email marketing campaigns are overlooked because of 2 main reasons. The first is spam. According to Statista, the global spam volume as a percentage of total email traffic globally is a massive 56.87%. As we mentioned earlier, people today have grown tired of being bombarded by obnoxious ads that often have nothing to do with them. With more and more people ignoring or perceiving most emails as spam messages, marketers are becoming discouraged, with some even shying away from email altogether. To overcome this, you need to have high-quality emails that not only stand out but directly speak to your audience’s PNIs. Emails need to be strategically built, monitored, and improved each step of the way..
For more insight on creating high quality emails and email campaigns check the links below. By now we have established that most consumers today get annoyed and just ignore invasive marketing efforts and advertisements. Conversely, when trying to find out about a new product they might ask friends and family members, or might even look up third party (and often unbiased) reviews. Incorporating an influencer into your marketing activities means leveraging the power of word of mouth. In addition to their own audience, they can have a great impact on their audience’s network as well (which constitutes a whole other untapped resource in itself). Persuade product sales through a positive review, their personal experience, or even a simple shout out. If you are interested in learning more about influencer marketing, be sure to check out our article here. In order to be considered an authority and expert in your field, you will need to focus on quality driven content. The days of posting cookie cutter, generic content to just fill a day on the calendar are long gone. Readers today want content that adds value to them; it should be informative, action driven, and rich in details. Above all, however, it must be able to be implemented immediately; as people don’t have the time (or patience) for trial and error of theories. As a creator, you must keep in mind that such content pieces take time. You must constantly have your readers in mind when creating a piece and always come back to their PNIs and see if what you are creating actually satisfies one of your audience’s concerns. Some examples of marketers and marketing organizations that we like and consistently put out expert content are Jay Baer, Moz, Kissmetrics, and Copyblogger. During the last 3 years, mobile marketing has been constantly rising in popularity, transforming a small niche to a “must-have” for business owners and marketers today. According to Statista, mobile as a share of total global online traffic accounts for a staggering52.64% as of August 2017. People are spending more time on their phones now than ever before, and with 3.5 billion active users, it is very likely that your audience is too. If you are interested in seeing a great example of mobile marketing brilliance, check out the following case study showing how the creative team of Levi’s Shanghai partnered with QQ Music (a mobile app by Tencent) to produce amazing results. To read the full article click here. What is the most sought-after thing by marketers and business owners alike? If you answer consumer attention, you are correct. With so many companies and brands competing for their audience’s attention, they actually become irritating and ignored by those they’ve been trying so hard to attract. Queue interactive marketing. In an attempt to increase the time shoppers spend inside physical stores, in-store marketing has been on the rise and is expected to increase even further in the years to come. In essence, in-store marketing leverages the power of beacon technology to send push notifications to shoppers in a certain store or area. It can send notifications to consumers’ smartphones regarding specific items that are on sale, coupons for certain items, and a whole variety of other offers in order to entice shoppers to spend more time in the store and purchase more items. Furthermore, similar to Amazon, such notifications can also be used to suggest products based on your purchase history. While the concept sounds very interesting it is no easy feat, requiring shop owners and consumers to adapt to an entirely new experience. The future, however, is bright. According to the Digital Marketing Institute, nearly three-fourths of millennials say they're willing to receive location-based mobile alerts. The former can be further backed up by ANA, supporting that shopper marketing is expected to increase to $18.6 billion by 2020. No list of successful digital marketing techniques would be complete without mentioning social media. 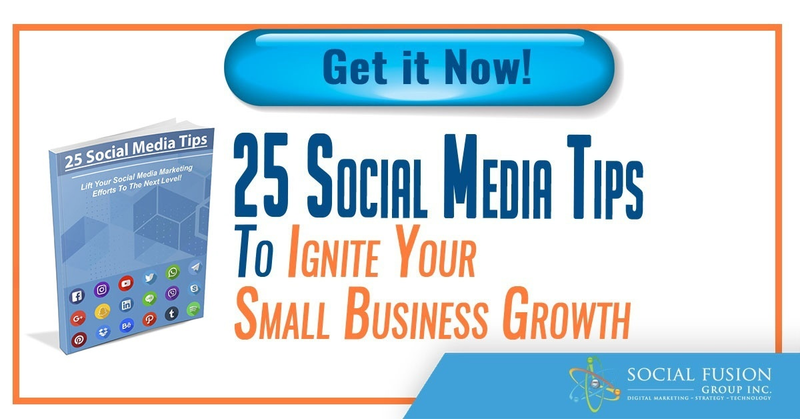 Social giants such as Facebook, LinkedIn, Twitter, and Instagram have become staples in our everyday lives and with such a large percentage of daily active members, they are typically considered a low cost, high ROI tool. 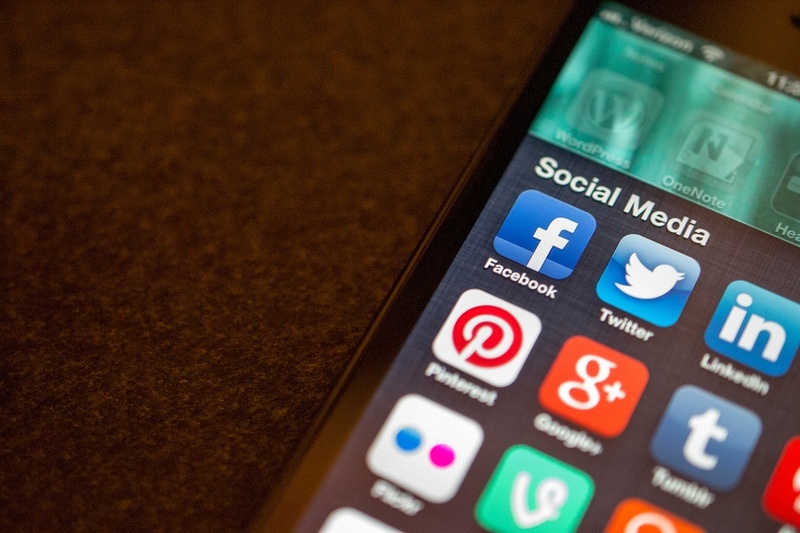 Granted many, (if not all,) social platforms today have become overly saturated with promotional activity and competition for attention, but a sound strategy will always prevail. If you would like to get some tips on how to optimize your business strategy on the 3 largest social platforms check out the links below. While the tactics mentioned above were winners for 2017, and will potentially continue to reign supreme in 2018, know that digital marketing is constantly evolving. It is important to focus not only on perfecting your current strategies but also "future proof" your marketing by monitoring emerging trends that might potentially reshape the way we promote ourselves and our brand online. Is there anything we missed? Do you have something to add to our list? Let us know!